At 34 years old, O’Neal Moore reached a significant milestone in Washington Paris history. 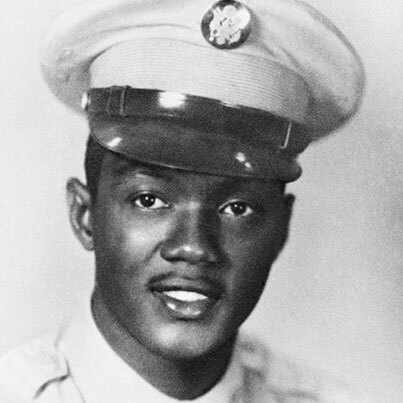 In 1965 – in the south – Moore became one of the first black sheriff’s deputies along with his colleague David “Creed” Rogers. Being that this was during a time when many police departments in the South were being integrated, racial tensions were running on a high. Moore and Rogers were frequently the targets of harassment and death threats from the locals – which took a deadly turn at its apex. On that night, the two of them were being tailgated by a pickup truck which they didn’t find to be much of a concern.. Continuing on their patrol route, they came across a fire on the side of the road. The pair quickly discerned that it was just a trash fire, and nothing malicious, so they made a u-turn and headed back south. On the their drive, they passed the same pickup truck from earlier, which began to follow them again. In a terrifying move, the pickup truck pulled up alongside Moore and Rogers and the occupants opened fire on the new sheriff’s deputies. A passerby came onto the scene to help the men but, unfortunately, it was too late for one of the men. O’neal Moore was dead. Fortunately Rogers survived, though he was very badly injured. He was rendered blind in the left eye, but luckily was still able to give a description of the pickup truck and the shooters. The police embarked on an immediate search for the killers and their truck which saw them breaking ground less than an hour later. The driver of a truck very similar to the one the shooters were riding in was picked up only twenty miles away in Tollertown, Mississippi. Ernest Ray McElveen was arrested and bonded out on $25,000 bail. However, the charges against him were dropped due to a lack of evidence. With the climate of O’neal’s time period being the way it was, the Ku Klux Klan became the obvious suspects of this murder. However, to this day, no one has ever been charged and the main suspects have since died. For more information on the investigation is Moore’s death, you can read the case file from the Department of Justice here .